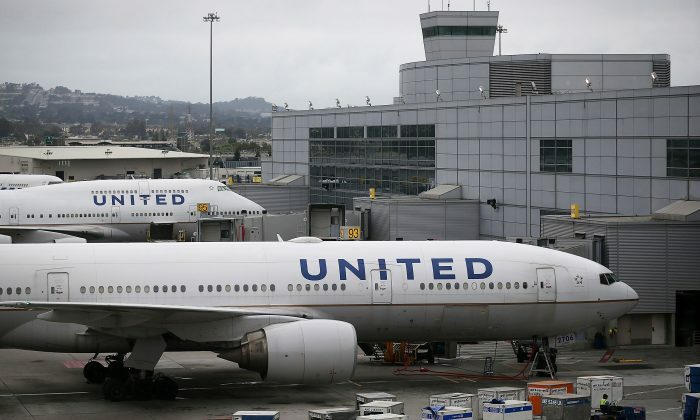 A United Airlines flight was diverted to Anchorage, Alaska, because a passenger smeared human waste inside the plane, according to reports on Friday. Flight 895 diverted on Thursday night, Jan. 4, as it was heading from Chicago to Hong Kong. The man smeared the waste inside several bathrooms. He also tried to remove his shirt and shoved it into a toilet, KTVA reported. FBI agents and Alaska’s Ted Stevens International Airport police took him into custody before he was taken to Providence Hospital for a psychiatric evaluation. No charges were filed against the man, who was not named, according to the report. The man had cooperated with flight attendants in the Boeing 777. The plane was later grounded for maintenance. There were no indications that the incident was related to terrorism, said to FBI spokeswoman Staci Feger-Pellessier, the Chicago Tribune reported. No injuries were also reported. “After the interviews were done, there were no appropriate charges for anything criminal,” airport police Lt. Joe Gamache was quoted by the paper as saying. Officials needed a translator to communicate with the man, who was carrying a Vietnamese passport and had a U.S. permanent resident card. But, according to the translator, the man was incoherent, officials said. United Airlines spokesman Charlie Hobart told the paper that there were 245 passengers on the plane.